We welcome everyone, new and old, to our spiritual fellowship. We nurture a culture of divine values and personal spiritual growth through love, prayer, study, service, and applied knowledge. Through many years of study together, we have become a loving spiritual family and enjoy welcoming newcomers to the family. 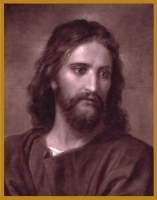 For many years we have engaged in fascinating topical studies including an investigation of the dual nature of Jesus, the Supreme, and the ascension path to Paradise. Currently we are doing a topical study on the nature and process of personal decision-making in terms of moral and spiritual choices. This includes an appreciative analysis of the major decisions of Jesus that are revealed in The Urantia Book as well as those of Adam and Eve, Lucifer and Caligastia, Van and Amadon, and others. We have many members from Santa Barbara so we meet on Friday evenings twice a month at the Callahan home in Santa Paula, and twice a month in Santa Barbara alternately at the homes of Brendi Poppel and Maureen Mayes. Call the listed phone number first to get the current meeting schedule.